Create an outdoor space that creates harmony between your dog and garden. Keep in mind the needs of your dog when designing your garden. Make sure your dog has the means for exploration, without messing up your plant presentation. Build a running track or path that weaves through the garden to keep the dog on an established path away from plants. Make the path comfortable for your dog’s paws with small cedar chip mulch or smooth flagstone rocks set in pebbles. Your plants should be soft yet sturdy — anything too delicate can be trampled by your pet. Create stone or driftwood borders around plants for increased protection. A dog’s good training can go out the window when distracted by the lure of a squirrel chase. Make sure a fence protects your dog from its own uninhibited excitement. You can provide a solid boundary with a wood fence that surpasses the height of your dog’s jumping capabilities. Set your fence into the ground a few feet deep so that your dog can’t dig a hole under it. If you’re worried about the solid and stark aesthetic of a fence, plant large shrubs or ornamental grasses along the perimeter. This will keep your yard a green oasis while also keeping your beloved hound safe. A training course is a way you can engage your dog’s brain or condition it for any course competitions. Create a fun and ideal training course with a circuit setup with structures and fixtures that test a dog’s physical agility. For a variety of tricks within the course, set up hurdles, a seesaw, cones and tires. Tires are great for your dog to jump through. Use your old tires as a method of sustainable recycling. This is good for the planet and also gives you an excuse to replace your vehicle’s tires with new ones. Provide your dog with access to water for refreshment after a hearty play session. You can create a natural spring or pond within your landscape that has regular circulation of water. However, if you live in a mosquito-prone region, a large body of water will draw them onto your property. Alternatively, consider a small drinking fountain for your dog. You can install a water circulation pump within a galvanized tub or trough. This will look rustic and stylish, while providing a water source for your pup. If you want a more transportable option, iMounTEK makes a hygienic dog fountain. Your dog can quickly be trained to use the paw-pressable pedal that controls the water stream. Since the water is never stagnant, there is less threat of bacterial growth or water contamination. Years after Katrina, the ASPCA reports that 35 percent of pet owners still don’t have plans in place for the next big storm to hit. Don’t be one of those statistics! Be ready and have a plan for you and your pets if an emergency hits. In many ways, adopting a dog is a lot like becoming parents to a brand-new human baby: You’re excited, you can’t wait to meet the new addition to your family, and you have a lot of work to do to get your house ready. Don’t wait until you sign the adoption papers to do your shopping; instead, buy everything far in advance. Basic supplies include food and water bowls, chew toys, bedding, a collar and leash, pet ID tag, food and perhaps a crate. If you want to wait until you name your new four-legged friend to get the ID tag that’s fine, but try to get your other doggie gear ahead of time. Dogs are pretty curious critters at times, and puppies are notorious for getting into everything. Take an honest look at your home and do everything you can to dog-proof it. Some dogs adore chewing on electrical cords, so if you can either tuck them behind furniture or unplug the lamps and other devices and put up the cords when they are not in use. Home Depot carries cord covers and other sorts of safety devices. Many dogs will try “counter surfing” at least once, so be sure all of your counters are free from foods and beauty products that will hurt your dog. This includes fruit bowls filled with grapes or avocados, boxes of chocolates, cookies with raisins in them and bottles of yummy-smelling shampoo and conditioner in the bathroom. While you hope to let your new family member eventually have full run of the house, it’s a good idea to set aside a dog-safe area for your pooch to hang out in, especially when you are at work or running errands. Depending on the size of your new dog, you can cordon off a large room in your home with either the door or baby gates, or you can confine her to a smaller space like a laundry room. Again, it’s important to have safety on the brain, so dog-proof the designated spot and also think about the overall comfort of your home. 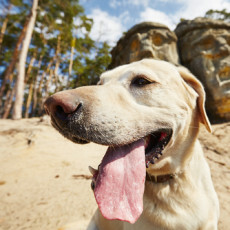 In addition, summer is coming up, and your new family member needs to stay cool and comfy while you are away from home. Make sure your A/C unit is in good working order. 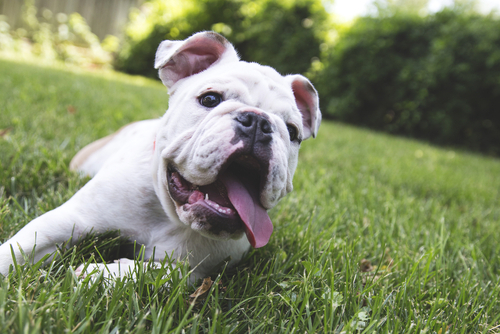 You might look into protecting the A/C unit with a comprehensive and trusted home warranty — the money you save on repairs can be used for other expenses, like tennis balls, Frisbees and stuffed toys for your new pooch. TotalProtect.com outlines the typical costs to repair and replace a variety of home appliances and systems. In order for your pup to be as happy and healthy as possible, it’s important to find ways to keep him mentally and physically active. Consider buying a puzzle cube for your dog and fill it with dry kibble. It can help keep your pooch happily occupied while you are away from home. Sign up for a dog obedience class to learn some basic commands and manners, and take your dog on lots of walks to get exercise and opportunities to come in contact with other pups and their people. Finally, learn how to perform CPR on your dog. We feature a comprehensive guide on how to do it. It could just save his life one day! 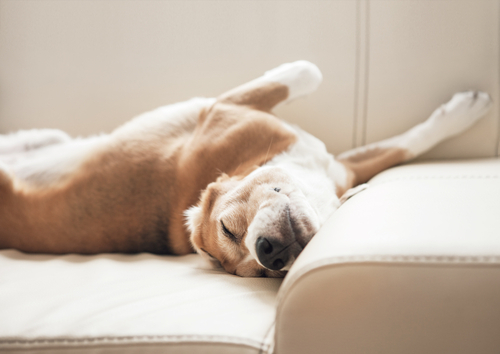 After a long day at work, you might not have the energy to walk your precious pup. But if your yard is unfenced, you are understandably concerned about letting your dog out to do his business without being on a leash. Thanks to the PetSafe Wireless Containment System, you can install a wireless fence that trains your dog to stay on your property. After setting up the transmitter at the center of your yard, you fit a receiver on your dog’s collar. The system then transmits a radio signal that creates an invisible boundary that goes out 105 feet in all directions. When your pooch reaches the edge of the electronically defined space, the collar gives a warning beep and a safe static correction. This way your dog knows where he can and can’t got without feeling confined or restricted. If you enjoy hiking with your dog, the Garmin Astro helps you to track your pup at all times. The Astro model enables you to track up to 10 dogs at a time, so if you have a large family of fur babies, you can rest assured that you can track their positions, even if you are in an area with lots of trees or deep canyons. This device is also extremely useful if you go hunting with your dogs because it has a range of four to nine miles, depending on the terrain. Around every five seconds the mini dog devices transmit their positions to the handheld Astro, showing you your pups’ locations as well as a compass that points to where they are. The best device you can use when out and about with your furry best friend is your smartphone. Not only are there a plethora of apps that help the two of you stay active — such as Dog Park Locator, Thank Dog and MapMyDogWalk, which all encourage you and your pup to get out of the house and exercising together — but it also gives you a variety of tools to explore new places and capture the moment. The Samsung Galaxy S6 Edge has a 16-megapixel camera and a wide-angle selfie camera, so you can photograph all of your hikes, runs, games of fetch and other adventures together. And the phone makes it easy to share these moments on social media. It also has built-in GPS and an ultra battery-saving mode, so you can feel safe when you’re out hiking in the woods or camping in a remote area. Every had a complaint filed against you in your apartment because your dog was loud when you were gone? ForRent.com created the handy infographic below with 4 dog friendly apartment hacks to help you stay in good graces. There are a number of dog-friendly cities that offer basic and unique amenities that you and your pup can enjoy. 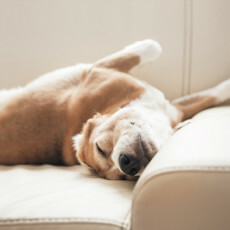 Gear up for apartment living with the right pet accessories, training methods and other essential pet care resources. 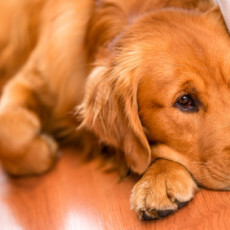 Here are some tips that will help you create harmony between your dog and your apartment. Find a city that will accommodate you and your pup with its pet-friendly services and apartment options. San Diego has excellent weather for dog-walking and outdoor recreation, as well as many off-leash puppy parks and beaches. 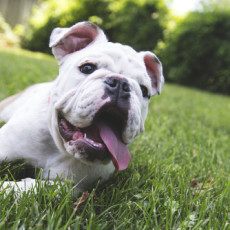 There are a total of 16 off-leash zones where your pup can freely play. 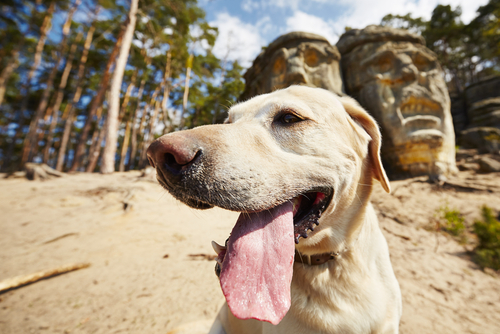 Austin, Texas, boasts 18 off-leash dog parks, for your dog to socialize. The city also has Doga, which is a yoga studio that integrates your pets into your yoga practice. Austin has many apartment buildings that offer dog-friendly units, which require a pet deposit fee. Once you’ve moved to the city, you and your leashed pup can go on one of Austin’s guided walking tours and discover all the wonderful things the city has to offer. Seattle, Washington, is another exceptionally pup-friendly city. The town has many restaurant patios, bars and shopping centers, where you and your pet can relax and hang out. Montana Bar is a quintessential grunge-style, Seattle bar which allows dogs inside of their establishment. The University Village Shopping Center is an outdoor mall, where many stores will allow well-behaved dogs indoors. 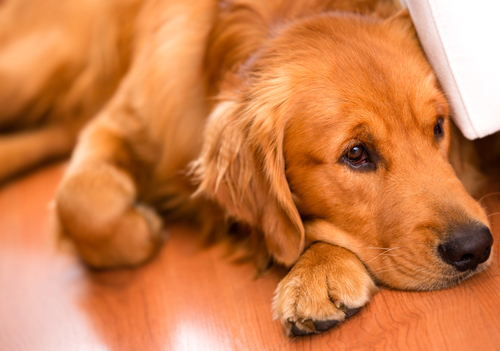 Make sure your dog won’t become too riled up or lonely in your tiny apartment, when you’re away at work. Invest in a reliable dog walker, who will take your dog out for some much-needed exercise. Affordable dog walkers can be found aton Doggeek in our dog sitter section. The site will provide reviews and references for available walkers so you can find the perfect fit for you and your pup. For the first few months, you should keep your dog in a secure kennel while you’re away from home. This will ensure the security of your belongings and ensure your dog doesn’t do any irreparable damage to your apartment. Make sure the kennel is adequately sized so your dog can roam around and not feel abandoned in a claustrophobic place. Place a doggy bed in the kennel for extra comfort. If your dog is a breed that is known to burrow, provide them with extra blankets so they feel safe and secure. Once your dog has learned the rules of the house and can be trusted, you can let them roam outside of the kennel. Make sure you have a basket of dog toys, so they will have chew-toys that will preoccupy their time and keep them out of mischief.